INTRODUCTIONIt is generally recognized that any progressive country, which aspires to occupy a befitting place in the comity of nations, encourages the establishment of a supreme scientific organization, usually designated as the Academy of Sciences devoted to the promotion of science and its applications for the general welfare of humanity. While these organizations may not carry out actual laboratory researches, they do provide a forum for the advancement of scientific research, popularization of science, motivation of scientists and technologists, as well as studies on new areas of S&T. As utmost importance is attached to the membership of such an academy, only scientists of the highest merit, who have made outstanding contributions to the advancement of scientific knowledge, are elected its Fellows. The Academy is regarded by the public and the government as a repository of the highest scientific talent available in the country, and is generally supported and consulted in all matters relating to scientific education, research and development. The idea of establishing Pakistan Academy of Sciences was mooted in November 1947, soon after the creation of Pakistan, at the first National Educational Conference held at Karachi. Subsequently, nine senior and eminent scientists were elected as Foundation Fellows of the proposed Academy. One of the Foundation Fellows, Dr. M. Raziuddin Siddiqi, drafted the constitution of the Academy which was approved. The Pakistan Academy of Sciences was inaugurated by the then Prime Minister of Pakistan, Khwaja Nazimuddin, on 16th February 1953, during the fifth Pakistan Science Conference at Lahore. On 19th February 1953, the Foundation Fellows elected Prof. M. Afzal Hussain as President and Dr. M. Raziuddin Siddiqi as Secretary of the Academy. The Pakistan Academy of Sciences is a non-governmental and non-political supreme scientific body of distinguished scientists in the country. 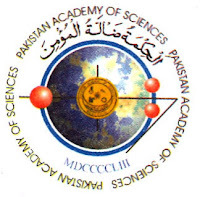 The Government of Pakistan has given the consultative and advisory status to the Academy �on all problems relating to the development of scientific efforts in the country�, and �generally on such matters of national and international importance in the field of science as may be referred to the Academy�. The affairs of the Academy are regulated by its Charter and Bye-Laws approved by the Fellows. The Academy is governed by a 17-member Council that includes Dr. Ishfaq Ahmad, N.I., H.I., S.I., Special Advisor to the Prime Minister of Pakistan, as its President, two Vice Presidents, Secretary General, Associate Secretary General and Treasurer. At present, there are 87 Fellows and 22 Foreign Fellows, and 8 Members, who have been elected by the General Body..
To promote higher studies and research on pure and applied sciences in Pakistan and to disseminate scientific knowledge. To formulate standards of scientific effort and achievement in Pakistan and to recognize outstanding contributions to the advancements in science. To publish and assist in the publication of scientific Proceedings, Journals, Transactions, Monographs, Books and other scientific literature. To establish and maintain association and relations among Pakistani scientists and the international groups and unions of scientists and organize meetings including coordination of scientific activities of Pakistani and overseas scientists. 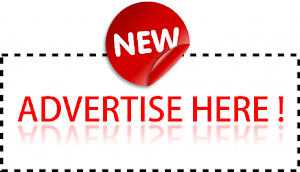 To award grants, scholarships, fellowships, prizes and medals for scientific research. To undertake such scientific work of national or international importance as the Academy may be called upon to perform by the Government of Pakistan. To have advisory and consultative status with the Ministries and Divisions of the Government dealing with scientific and technical matters, and to represent internationally the scientific work of Pakistan. To secure and administer funds, endowments and other grants for the promotion and development of scientific research or projects of a scientific nature, and for the attainment of the aims and objectives of the Academy.